Isle of Wight Hair & Beauty have two exclusive, luxurious, and contemporary salons offering an uplifting, rejuvenating experience that will leave you feeling restyled, refreshed and relaxed. We have a wonderful team of experienced stylists, who provide a friendly and welcoming atmosphere, and we only use the very best products on the market. Providing a range of massages guaranteed to release aches and pains and leave your body truly reinvigorated. Our expert team will be able to offer you the perfect style to best suit your needs, personality and lifestyle. A comprehensive range of professional nail treatments, manicures, pedicures, and stylish nail art. 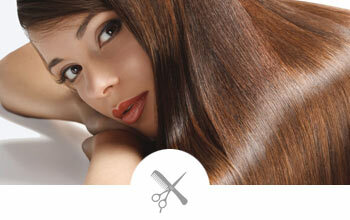 Based in Cowes and Yarmouth, on the Isle of Wight, we offer a full range of hair, nail and beauty services. Absolutely thrilled with my perm. Great results and good prices. Highly recommend. Lovely staff, great service, and I am always happy when they have finished my or my daughters hair. I was a bit anxious on my first ever appointment here, but needn't have been ... my perm was the best I'd had in over 27 years. Great experience here, friendly staff, lovely salon.